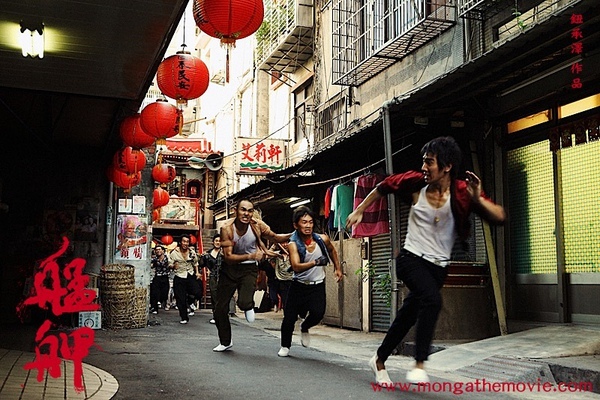 Starring the top two male idols in Taiwan today, Ethan Ruan and Mark Zhao, “Monga” is Taiwan’s blockbuster of the year which tells the story of five boys from the historical district of Monga in Taipei, who join a gang because they were tired of being bullied around. 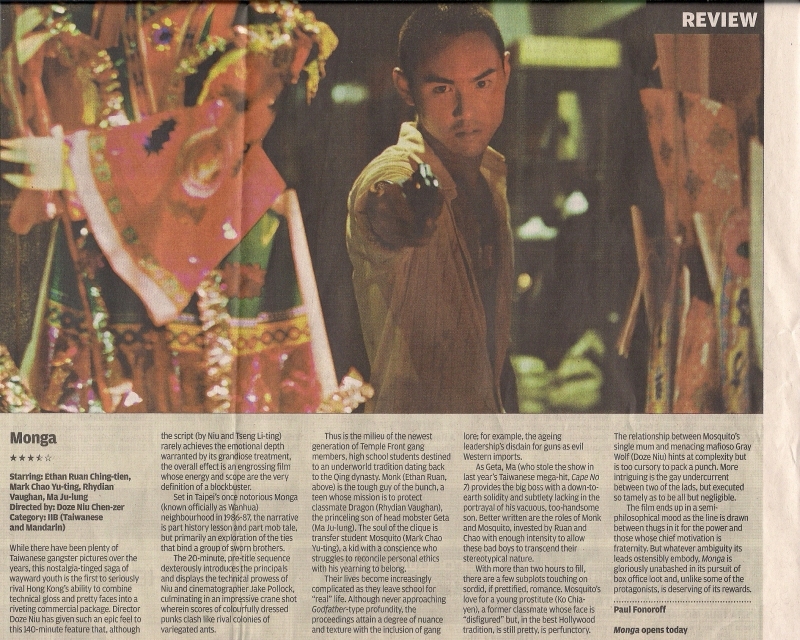 Taiwan's famed Wanhua District (or Bangka to the locals) forms the backdrop of Doze Niu's colourful and hugely entertaining gangster flick, "Monga". Taipei City's oldest district, and home to historic sites such as Snake Alley and Longshan Temple, the Wanhua district was before its cleanup in the '90s divided by rule of the local gangs and a hotbed of crime and prostitution. Against this lively setting, Doze Niu tells the coming-of-age story of five adolescents turned blood brothers who call themselves the "Prince Gang". While there have been plenty of Taiwanese gangster pictures over the years, this nostalgia-tinged saga of wayward youth is the first to seriously rival Hong Kong’s ability to combine technical gloss and pretty faces into a riveting commercial package. Director Doze Niu has given such an epic feel to this 140-minute feature that, although the script (by Niu and Tseng Li-ting) rarely achieves the emotional depth warranted by its grandiose treatment, the overall effect is an engrossing film whose energy and scope are the very definition of a blockbuster.